SAN FRANCISCO - A former Cambodian opposition leader took legal action against Facebook on Thursday in an effort to show that country's long-time ruler has used his account to further a political crackdown. The motion, filed in US District Court in San Francisco, seeks to compel Facebook to produce information about Prime Minister Hun Sen's account and whether he purchased millions of "likes" through so-called click farms and made death threats, among other violations of Facebook policies. Hun Sen has ruled Cambodia for 33 years and faces no meaningful opposition in this year's elections after the dissolution of the country's largest opposition party, the Cambodia National Rescue Party, in November. But he has made Facebook a key tool in public outreach efforts. A spokeswoman for Facebook declined to comment Thursday on the new legal action but told AFP the company took fake accounts and inauthentic activity on the social network very seriously. Exiled former opposition leader Sam Rainsy currently faces criminal proceedings in Cambodia, including a conviction for defamation for casting doubt on the legitimacy of the "likes" on Hun Sen's Facebook page. 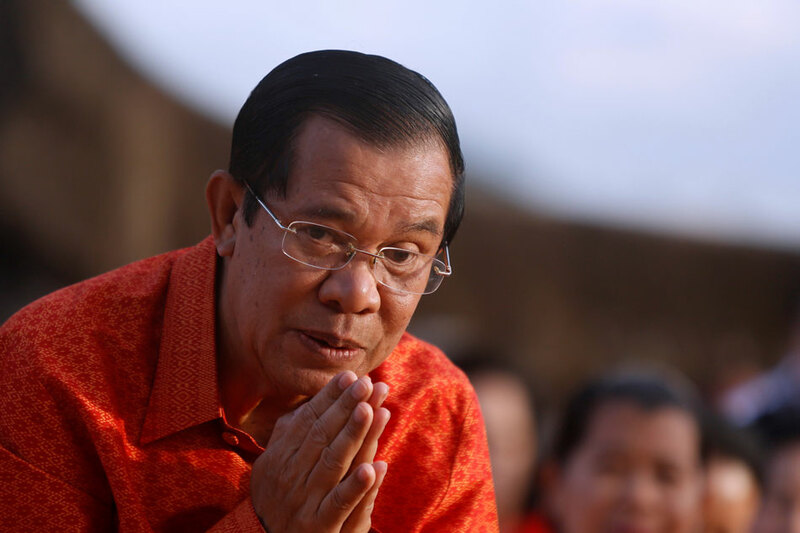 An analysis from the social media firm Socialbakers in 2016 determined that most of Hun Sen's likes came from India and the Philippines, which officials have denied. "In the last few years, the Facebook platform has been misused and manipulated by Cambodia’s autocratic dictator, intent on maintaining power at all costs," Richard Rogers, an attorney for Sam Rainsy, said in a statement. "The petition raises fundamental questions about how Facebook should deal with human rights abusers who manipulate elections."